The Waka Waka Personal Solar Power Station is a clever little gadget that can charge any cell phone and tablet via a USB connector using a solar LED lamp. That means no more frustrating dead phone batteries, so long as the sun is out! The small, portable device looks like a reliable solution to make sure you can stay connected even when you’re far away from a power outlet. 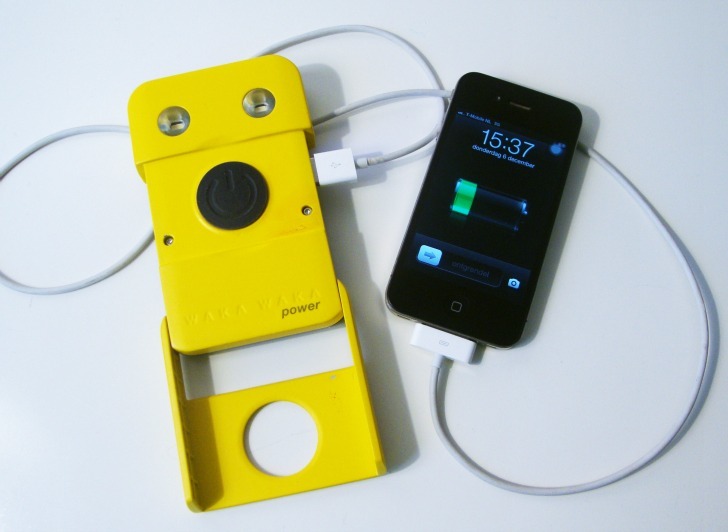 After producing the Waka Waka Light, the Dutch team built on the original design to incorporate a Sunpower solar cell and greater battery capacity than the original version. After charging for just 8 hours the light can not only emit light for more than 40 hours, but it can also charge cell phones and tablets using solely energy absorbed from the sun. The designs are still in the early funding stages, and the Waka Waka Kickstarter page will be launched on December 12. This is a WONDERFUL idea/design. Looking forward to it coming onto the market. Do you have any idea when it will be available? 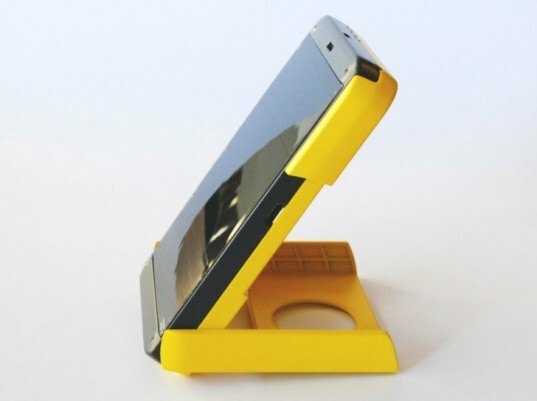 The Waka Waka Personal Solar Power Station is a clever little gadget that can charge any cell phone and tablet via a USB connector using a solar LED lamp. That means no more frustrating dead phone batteries, so long as the sun is out! The portable little device looks like a reliable solution to make sure we are always connected.